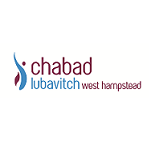 Thank you for considering to join Chabad of West Hampstead's Burial Scheme! We understand there is deep pain and heartbreak at the time of losing a loved one, G-D forbid. Therefore, we take great care in helping to make arrangements for the funeral service as straightforward as possible. The Western Charitable Foundation (WCF) has kindly offered to work with us in providing Burial membership to our community. The cemetery allotted to this scheme is located in Cheshunt. Our scheme will cover all funeral costs including services for the Shiva and recital of Kaddish. Upon joining the scheme, anybody over the age of 39 will have to pay a one off scheme joining fee, which goes up in increments according to age. This sliding scale is available upon request. (Children under 21 are included in parents membership). All fees can be paid by monthly or annual standing order. In order to join our Burial Scheme one must be halachically Jewish. Any questions of status will be referred to the Office of the Chief Rabbi. Once your submission is approved we will send you a form to make payment. Please note, we will be sharing your details with the Western Charitable Foundation.